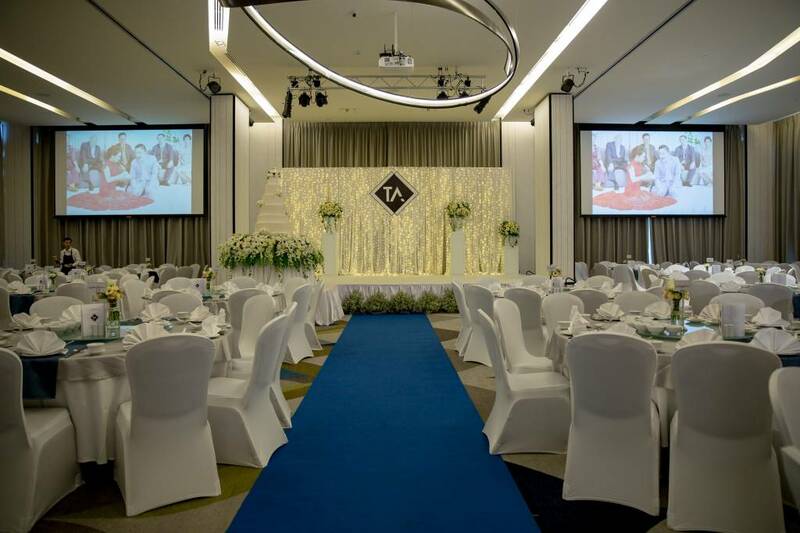 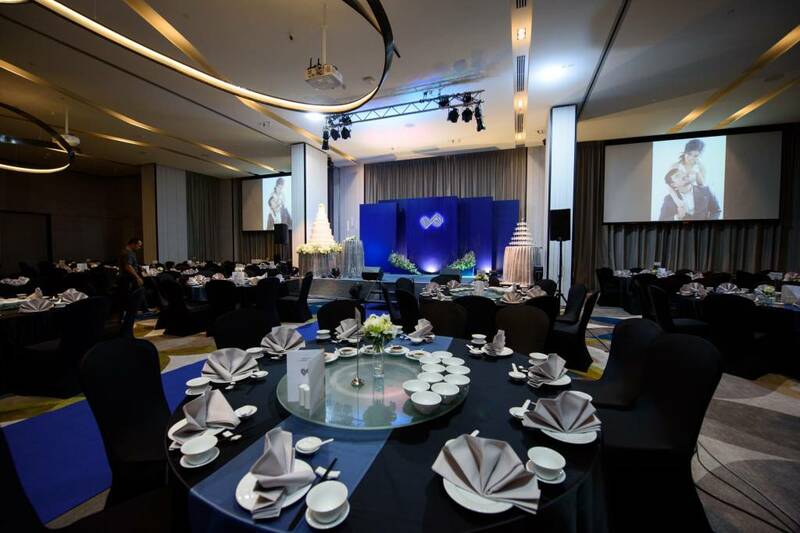 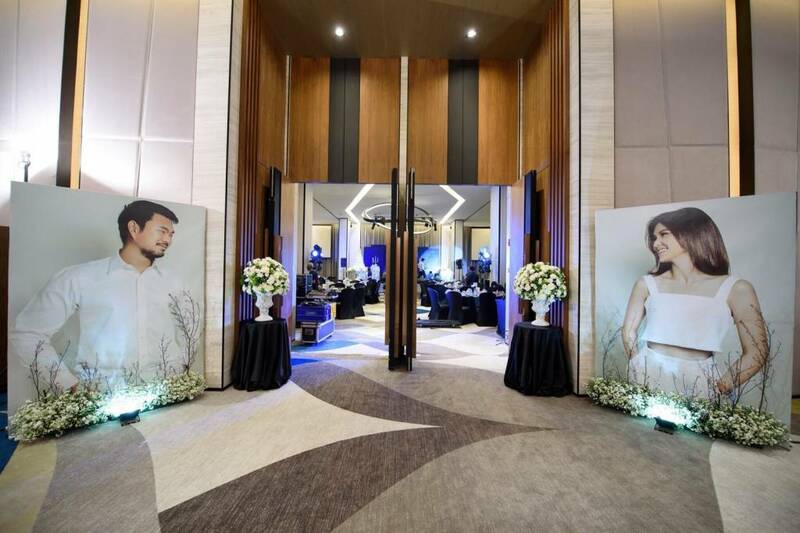 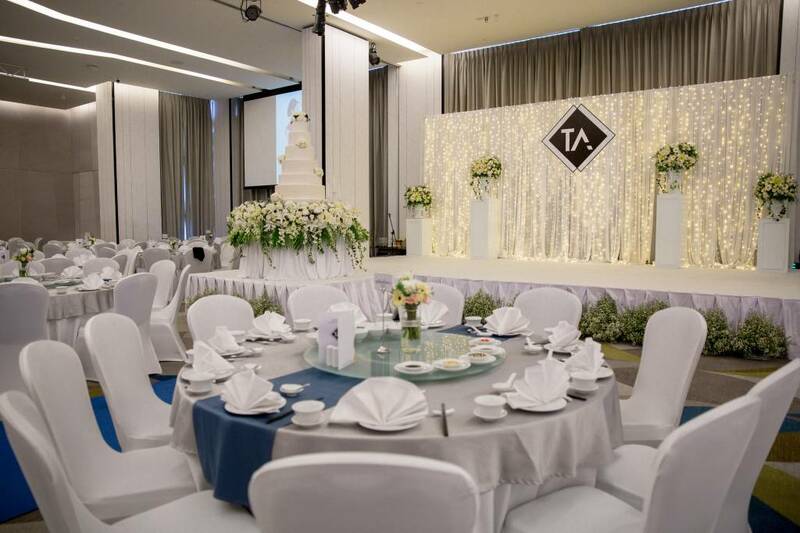 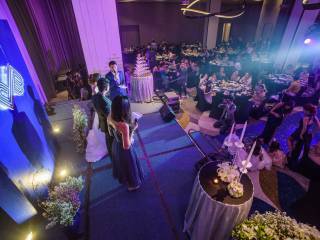 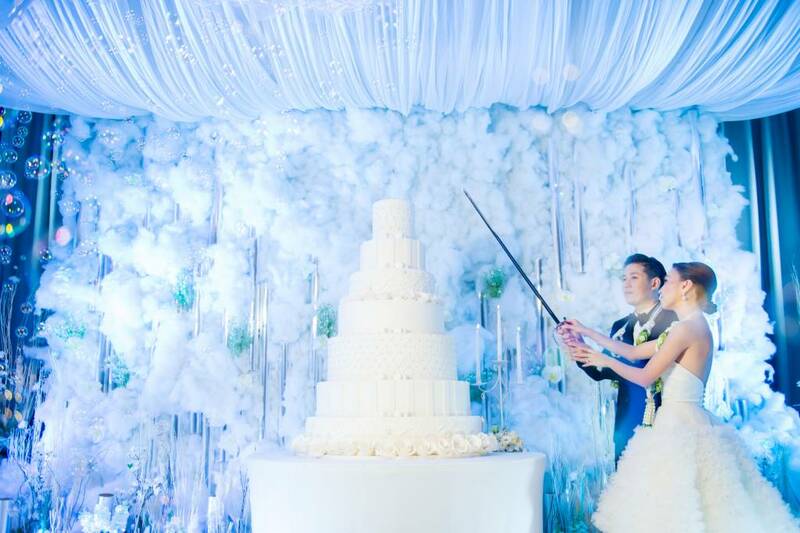 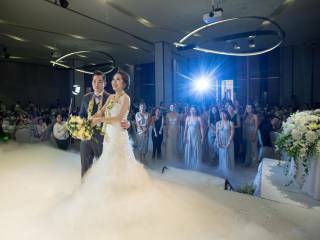 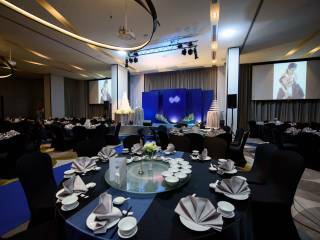 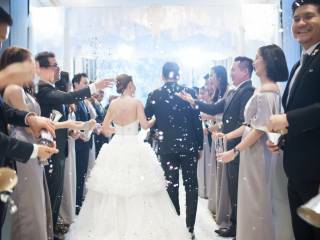 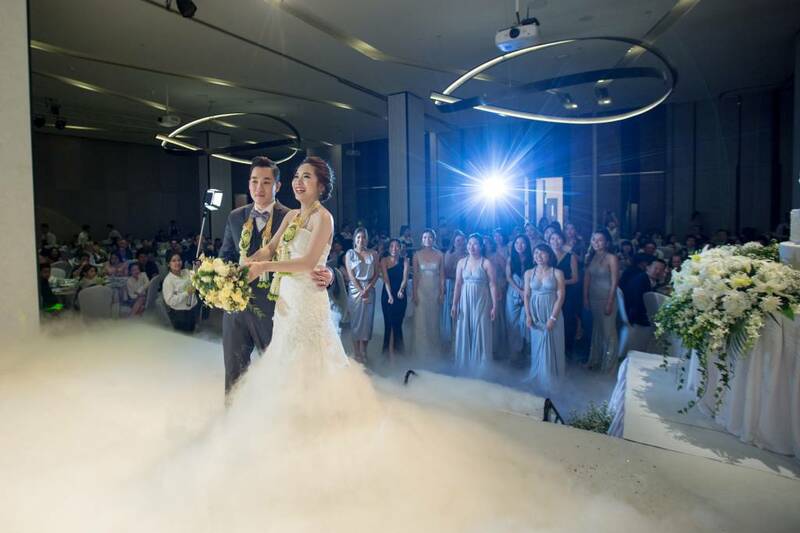 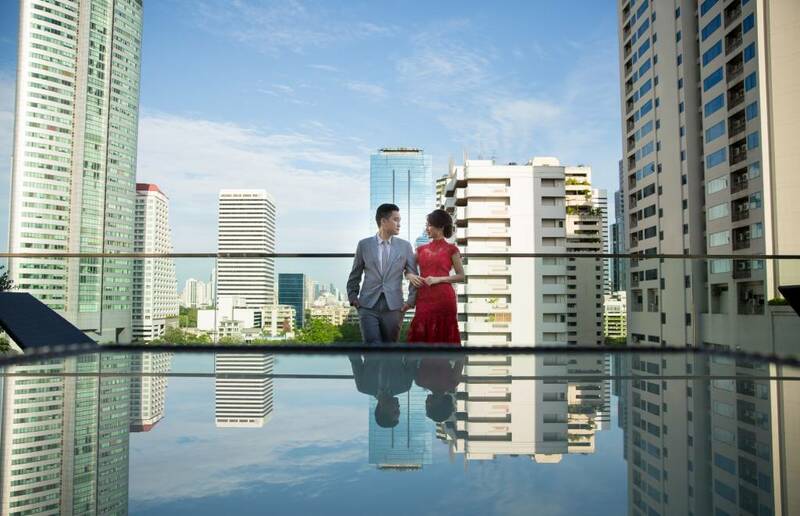 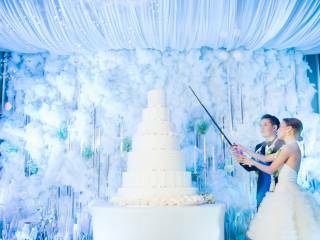 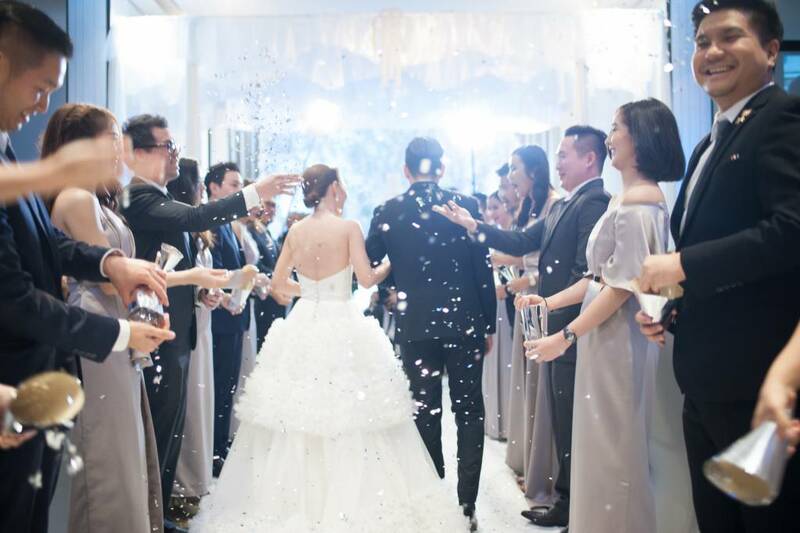 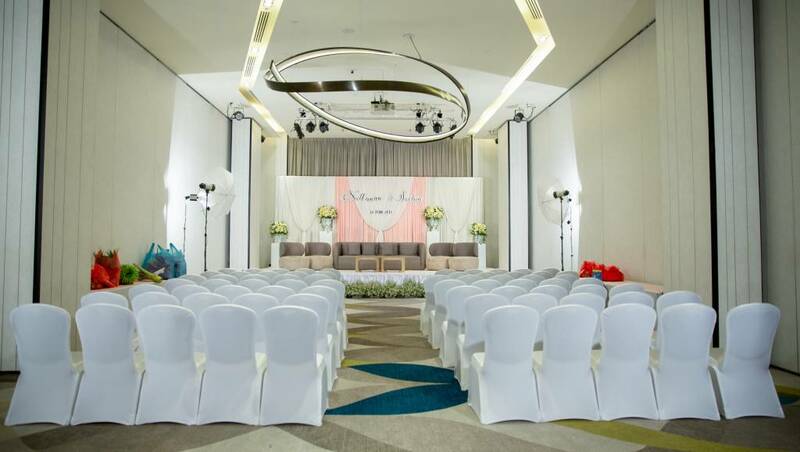 The elegant wedding venue, Benjasiri Ballroom, can accommodate a wedding function with up to 800 guests. 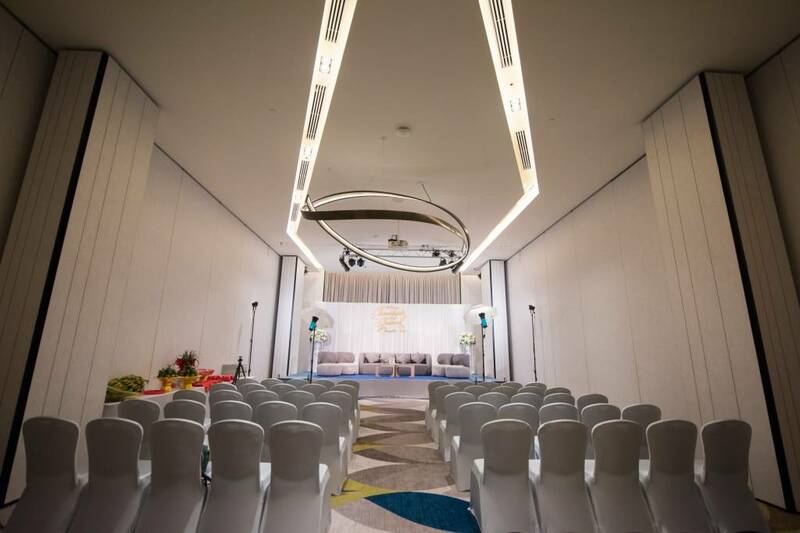 The ballroom has a high ceiling reaching up to six metres in addition to floor-to-ceiling glass windows offering natural light and views of the city, creating a very light and airy atmosphere. 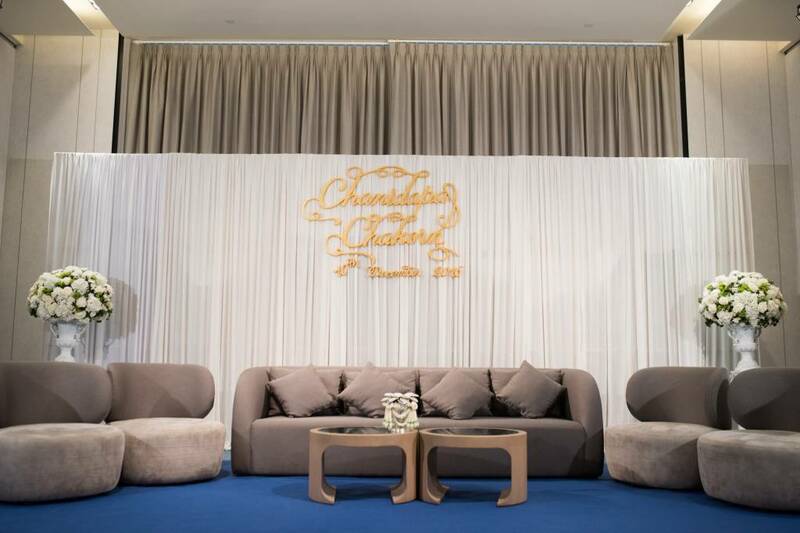 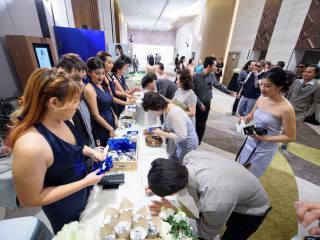 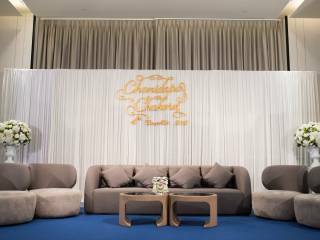 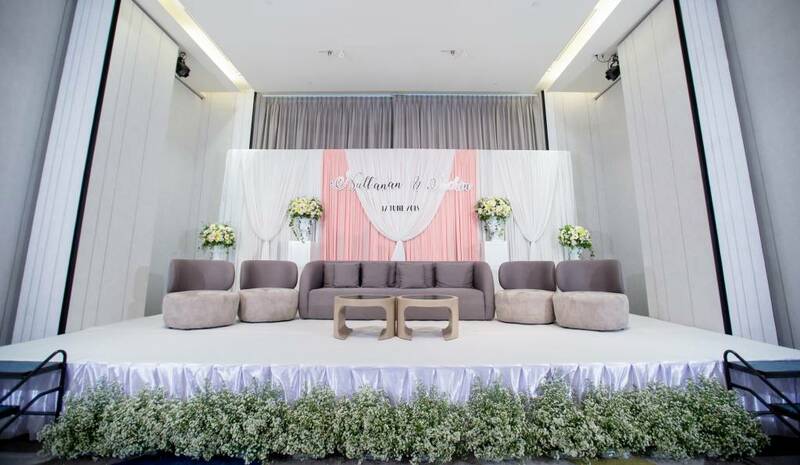 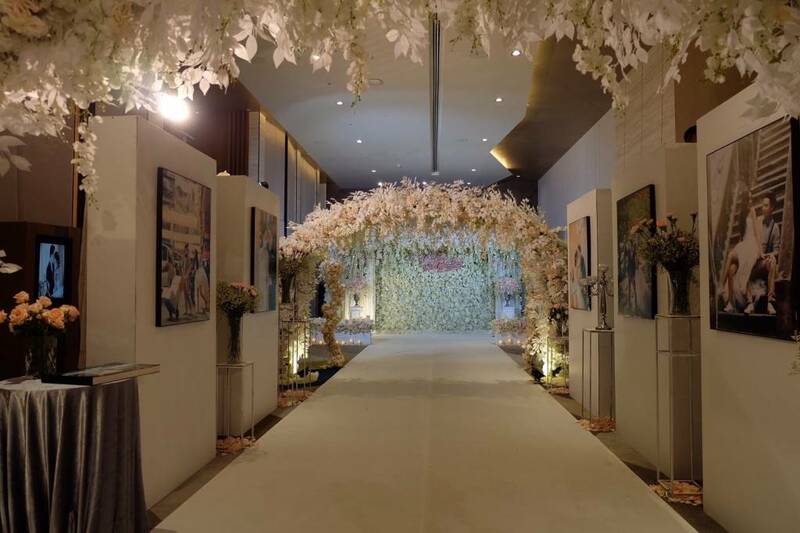 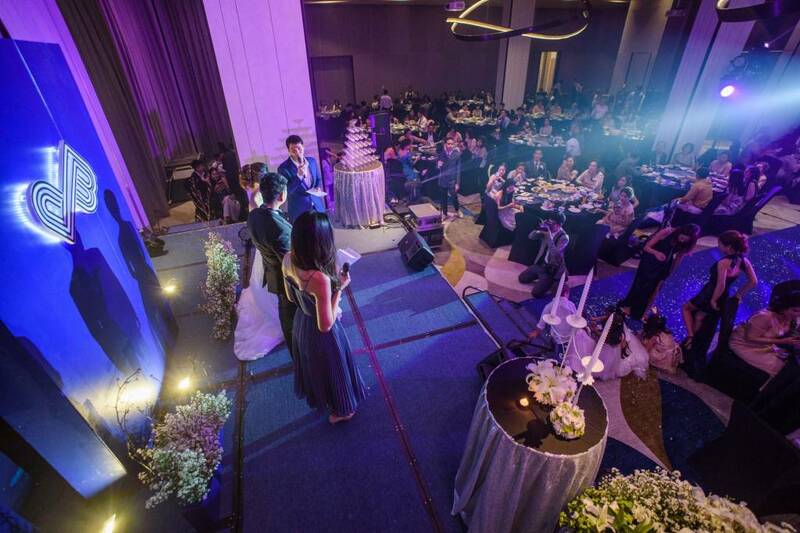 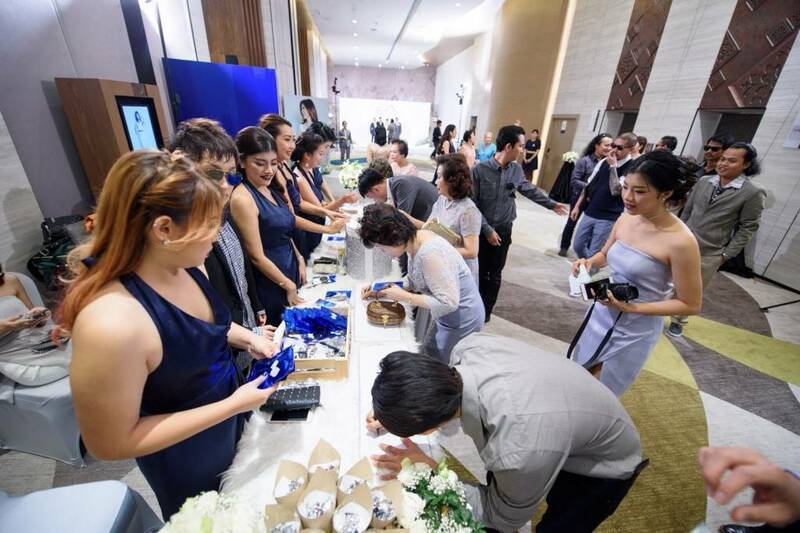 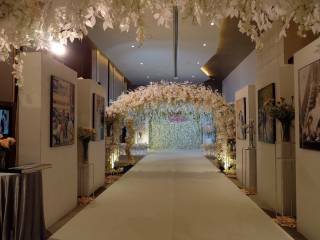 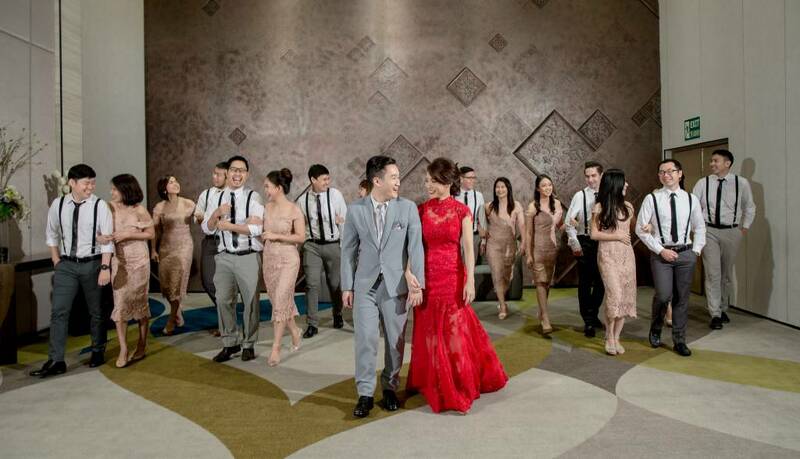 The function space is fully equipped with sophisticated sound system, LCD screen projectors and a large pre-function space to display the unique theme of a wedding. 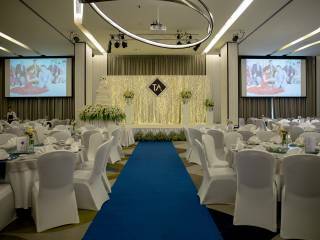 The venue is suitable for all types of catering whether it is a cocktail party, buffet dinner, Chinese table or Indian wedding. 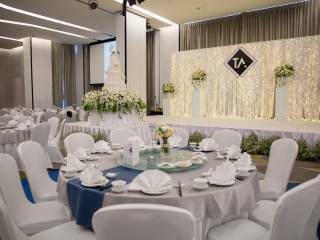 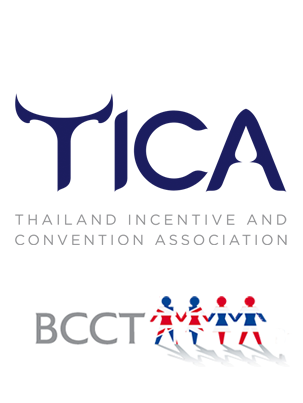 The Executive Chef has created a variety of tantalising Thai and international menus for a couple’s selection including a variety of optional food stall choices. 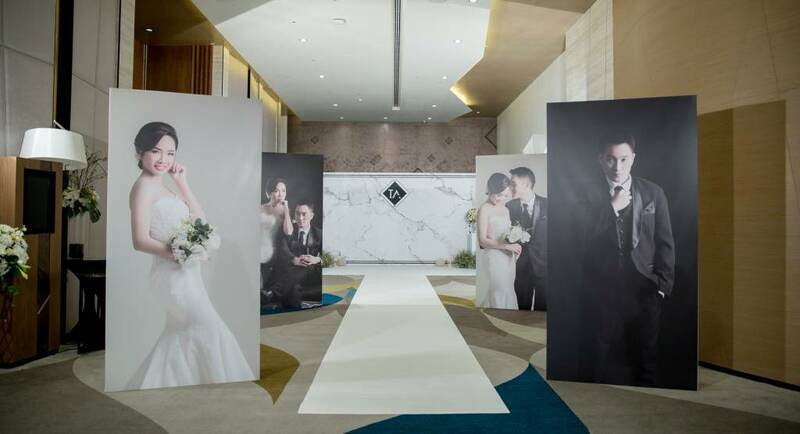 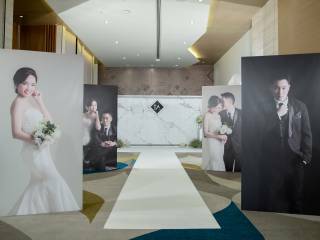 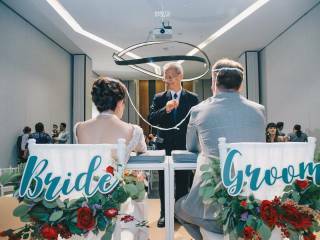 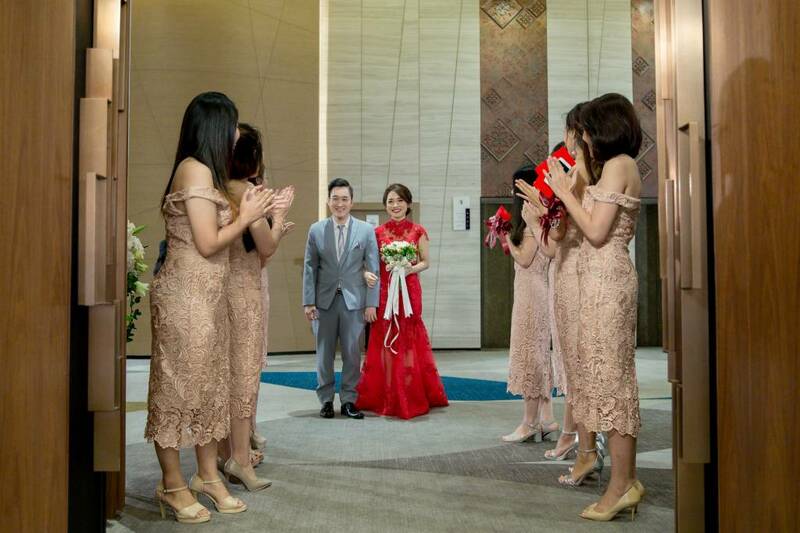 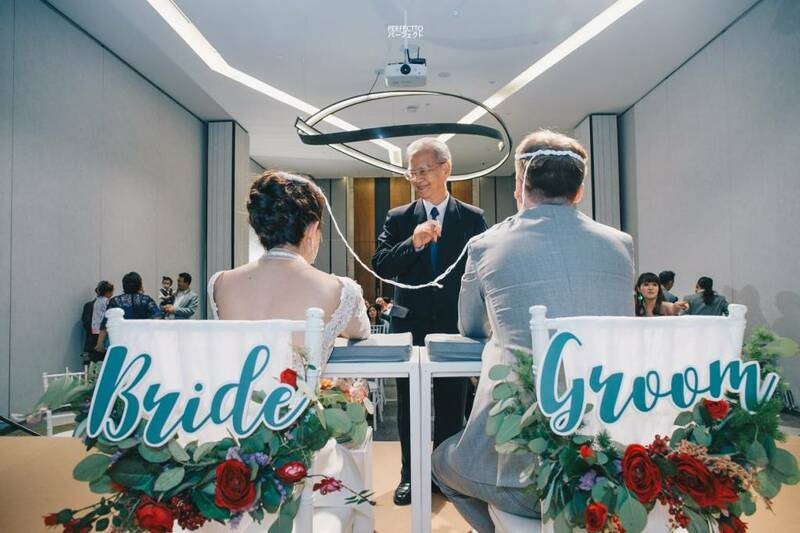 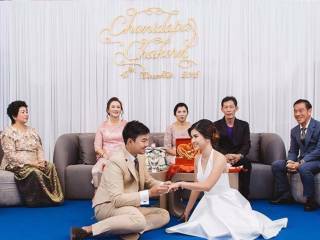 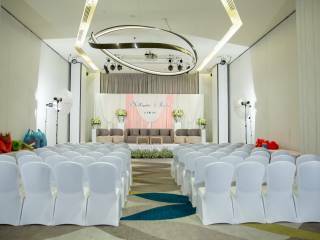 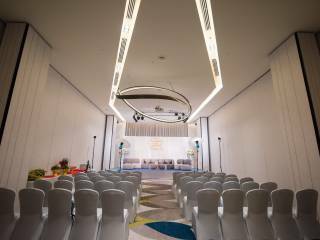 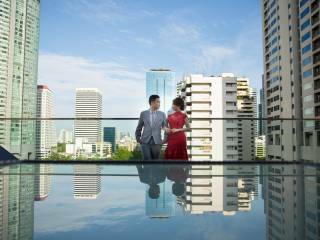 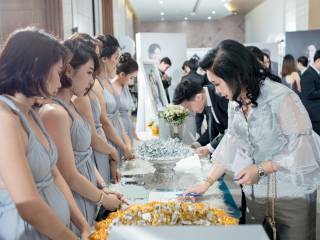 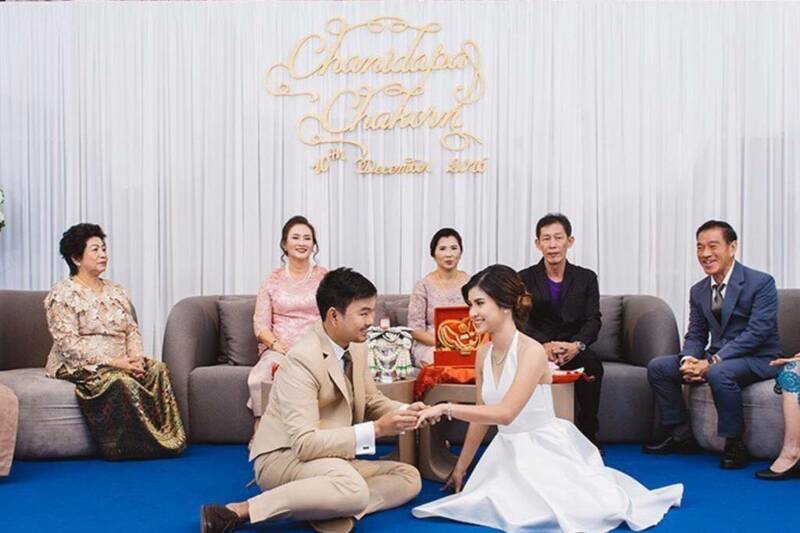 For an engagement ceremony or small-sized morning ceremonies, the hotel also has an additional six breakout function rooms suitable to accommodate a cozier and intimate type of events. 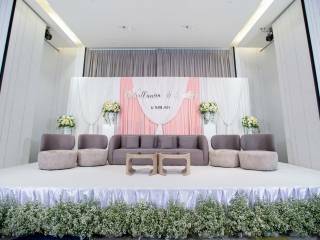 The wedding and events team are ready to give a professional assistance from planning the event until the completion of an unforgettable day. 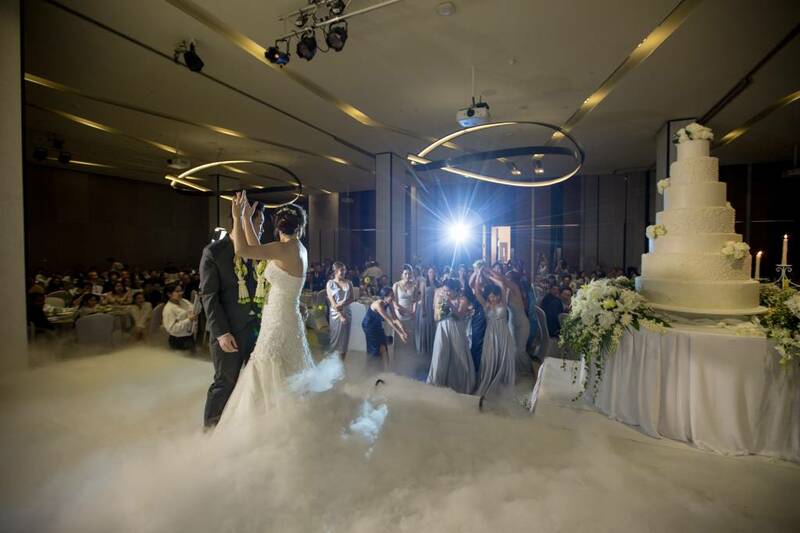 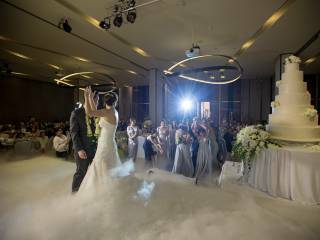 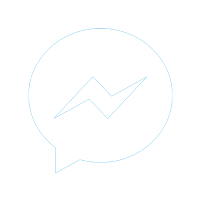 Contact the team regarding wedding packages including morning ceremonies and wedding functions.